The Loquat, botanically known as Eriobotrya japonica, is also commonly known as the Japanese plum. Loquats are a member of the Rosaceae family, also known as the rose family, along with apples, strawberries and pears and in Eriobotrya genus. Loquat is known to be indigenous to China. However, it has been grown in Japan and India since ancient times and is also found in Indochina, the Mediterranean region, and to some extent, the New World subtropics. Being a member of Rosaceae family of fruits, loquats have similar taste and flavor as that of apples; tart, and sweet with pleasant aroma. Some popular common names of loquats are Chinese Loquat, Japanese Loquat, Japanese Medlar, Japanese Plum, Loquat and Naspli. Apart from that White-fleshed Japanese Group, Orange-fleshed Chinese Group, Algerie, Victor, Thales and Tanaka are some of the popular varieties of loquats that are grown throughout the world due to its wonderful taste. 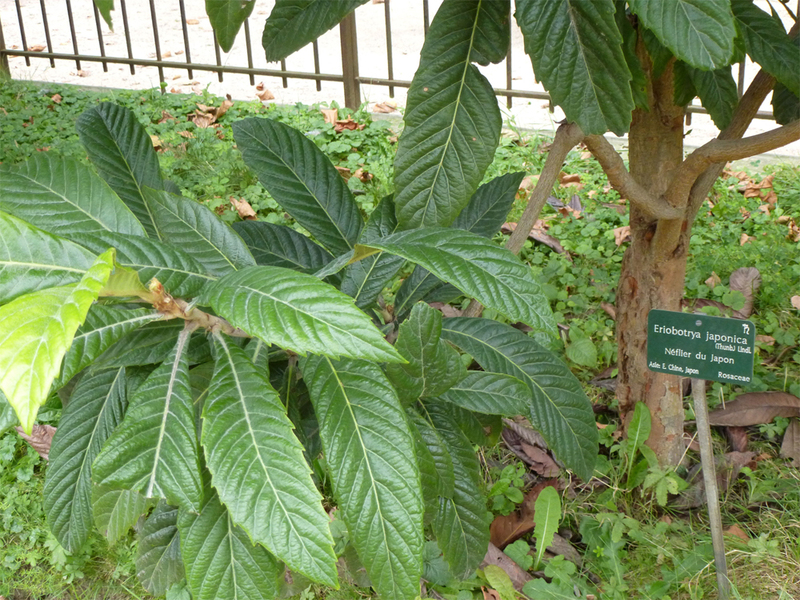 There are records of loquat having been cultivated in China for more than 2000 years, and it was introduced into Europe in the eighteenth century, but only as an ornamental tree in botanical gardens. Generally, loquat is found between latitudes 20° and 35° north and south, but it can be grown up to latitude 45°. Loquat is now commercially cultivated in more than 30 countries in the warm regions of the world, including southern Europe (Mediterranean area), the Middle East, Africa, Asia, Australia, New Zealand, and America. Loquat is a large evergreen shrub or small tree, 5–10 meters (16–33 ft.) high with a rounded crown, short trunk and greyish-rusty tomentose stout twigs. 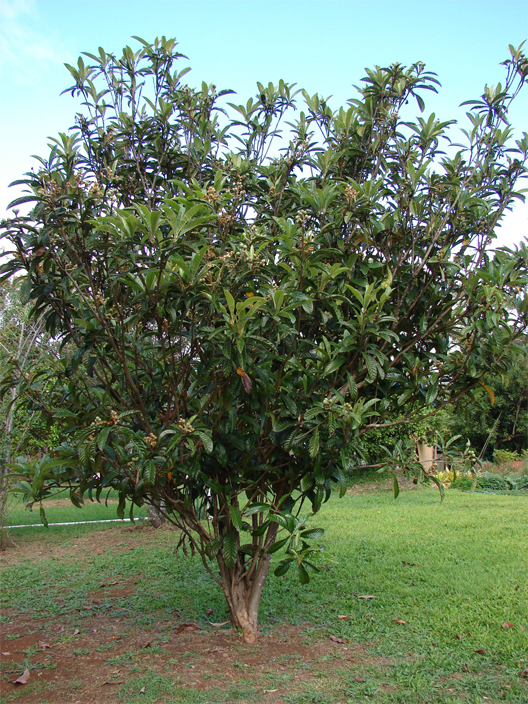 Loquats are easy to grow and are often used as an ornamental. Their boldly textured foliage adds a tropical look to the garden and contrast well with many other plants. Normally plant prefers subtropical to mild temperate climate and grow on a wide range of soils of modest fertility, from light sandy loam to heavy clay and even oolitic limestone, but requires good drainage. It abhors water-logged conditions. Because of the shallow root system of the loquat, care should be taken in mechanical cultivation not to damage the roots. Loquat leaves are generally eliptical-lanceolate, 5 to 12 inches long and 3 to 4 inches wide. They are dark green and glossy on the upper surface, whitish or rusty-hairy beneath, thick and stiff, with 11–12 pairs of conspicuous parallel, oblique veins. The new growth is sometimes tinged with red. The leaves are narrow in some cultivars and broad in others. Leaves are alternately arranged on the branches. Flowers are 2 cm (1 in) in diameter, white, with five petals, and produced in stiff panicles of three to ten flowers. The flowers have a sweet, heady aroma that can be smelled from a distance. Loquat fruits, growing in clusters, are oval, rounded or pear-shaped, 1 to 2 inches long with a smooth or downy, yellow or orange, sometimes red-blushed skin. Fruits are normally green in color turning to yellow or orangey-yellow when completely mature. The succulent, tangy flesh is white, yellow or orange and sweet to subacid or acid, depending on the cultivar. 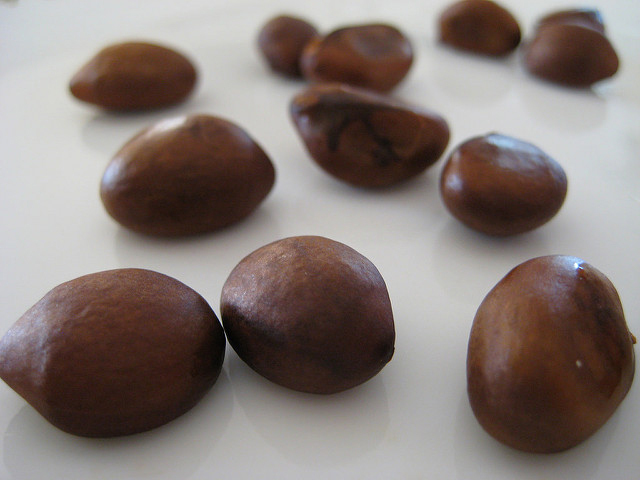 Each fruit contains three to five centrally places large brown seeds, angular-ellipsoid, 15 mm by 8 mm. Seeds are inedible, and may carry toxic cyanogen-glycosides. Mature fruits can be ready to harvest by June in Japan; however, their harvesting season may vary from region to region. The loquat is normally pollinated by bees. Some cultivars are self-infertile and others are only partially self-fertile. Loquat is native to western China; wild ancestors of the cultivated loquat can still be found in the mountains of Sizhuan and Yunnan. It is extensively cultivated along the Yangtze River and southwards particularly in Suzhou. It was introduced to Japan by Buddhist monks in the Tang dynasty. Loquat is extensively cultivated in suitable areas in subtropical to warm-temperate zones and in the tropics in the highlands. Besides China, other centers of production are in East Asia (Japan), south Asia (India), Australia, South Africa, Central and South America (Brazil) and around the Mediterranean Sea. Today Japan is the leading producer of loquats, followed by Israel and Brazil. In addition to their nutritional and energy supplying value, loquat fruits are valuable sources of phytochemicals, such as carotenoids, phenolics, ﬂavonoids, vitamin C, and terpenoids, which contribute to human health. These compounds have pronounced antioxidant and free radical scavenging activities that could lower the incidence of degenerative diseases, such as cancer, arthritis, arteriosclerosis, heart disease, inﬂammation, brain dysfunction, and acceleration of the aging process. Song et al. evaluated 56 selected Chinese medicinal plants, and the results showed that Dioscorea bulbifera, Eriobotrya japonica, Tussilago farfara, and Ephedra sinica could be potentially rich sources of natural antioxidants. Cultivar, growing conditions, geography, origin, and extraction method are all factors that inﬂuence the phytochemicals concentration in plant tissue. It is worth pointing out that various parts of the loquat plant (leaves, ﬂowers, fruit, and seeds) are considered good sources of phytochemicals, and wild species show stronger antioxidant activity than the cultivated ones, due to different genotypes and speciﬁc cultivation conditions. 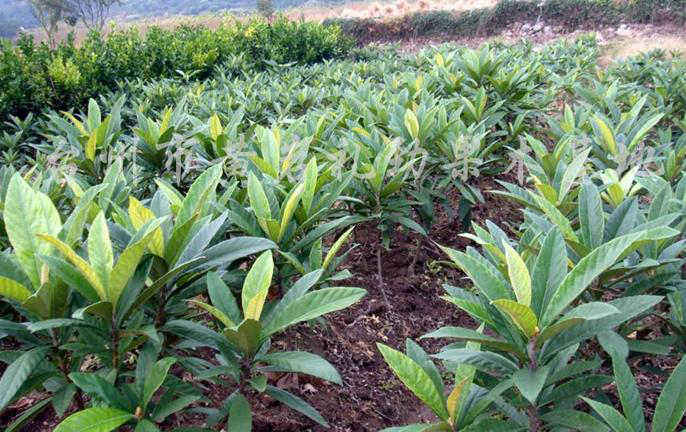 In this context, interest in phytochemicals in loquat fruit is increasing. Carotenoids are some of the most highly colored phytochemicals, occurring as all-trans and cisisomers, and accounting for the brilliant colors of a variety of fruits and vegetables. All carotenoids are derived from the colorless carotenes phytoene and phytoﬂuene, which are oddities among carotenoids due to their distinct chemical structure. They also play multiple roles in maintaining human health, such as disease prevention, free radical removal, immune system enhancement, and senescence retardation. It is especially noteworthy that vitamin A, which is critically required for vision, resistance to infectious disease, epithelial cell integrity, bone remodeling, and reproduction, is formed solely from dietary provitamin A carotenoids in animal and human bodies. The provitamin A carotenoids are those that contain at least one unsubstituted β-ionone ring and a polyene side chain. Both β-carotene and β-cryptoxanthin are the principal contributors to the vitamin A value. Different carotenoids in loquat have various colors and color intensities: β-carotene and β-cryptoxanthin are orange, lutein is yellow, auroxanthin is light green-yellowish, and phytoene is colorless. Flavonoids are a series of compounds with aromatic ring A and B connected through three central carbon atoms, which can be discriminated by colorable reactions depending on the phenolic hydroxyl group and pyrone ring of the structure. Flavonoids are a large group of secondary plant metabolites compounds ﬂavonoids compounds are connected with carbohydrate that exist in many plants to form glycosides. Flavonoids play an important role in and are probably the most important class of phenolics the growth, blooming, and fruiting of the plants. Yet, compounds acting as antioxidants. Most taking all the evidence of their functions in animals and large group of secondary plant metabolites compounds ﬂavonoids compounds are connected with carbohydrate that exist in many plants to form glycosides. Flavonoids play an important role in and are probably the most important class of phenolics the growth, blooming, and fruiting of the plants. Yet, compounds acting as antioxidants. Phenolic compounds are a large group of plant secondary metabolites. So far, more than 8000 dietary phenolics have been identiﬁed, and their distribution and accumulation proﬁles have been shown to be affected by both genetic and environmental factors. They have various functions in plants, including protecting plants from herbivores and microbial infection, as attractants for pollinators and seed dispersing animals, and as allelopathic agents, UV protectants, and signal molecules in the formation of nitrogen-ﬁxing root nodules. For humans, interest in dietary fruit phytochemicals has largely focused on phenolic compounds, which, because of their ubiquity and diversity, are considered the most important antioxidant components in fresh fruit. In general, the leaves and seeds of all the fruits showed a much higher level of phenolic compounds than the pulp or peel. Terpenes are hydrocarbons resulting from the combination of several isoprene (5 carbon) units; thereafter, the terpenoids can be classiﬁed according to the number of isoprene units. 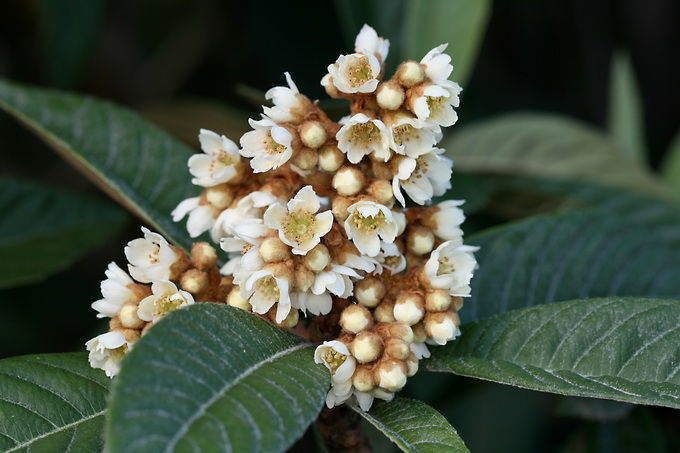 To our knowledge, many studies have been conducted on the terpenoid compounds in loquat leaf and ﬂowers, but little attention has been paid to the terpenoid compounds in loquat fruit. 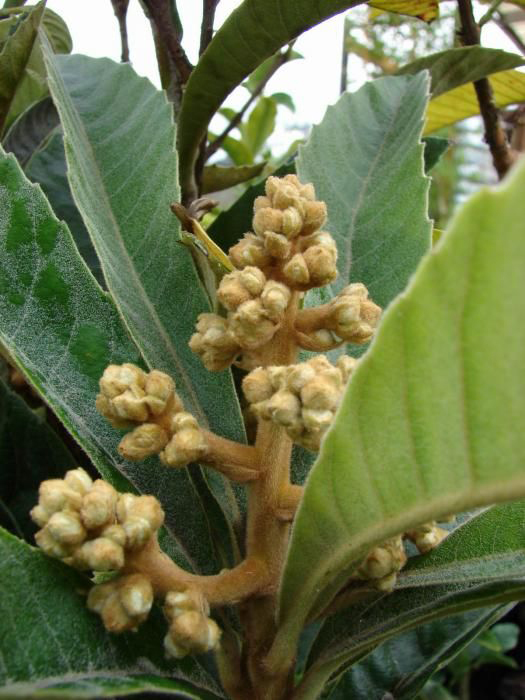 For example, many terpenoid compounds have been isolated from loquat leaves and ﬂowers, while very few compounds have been isolated from the loquat fruit. 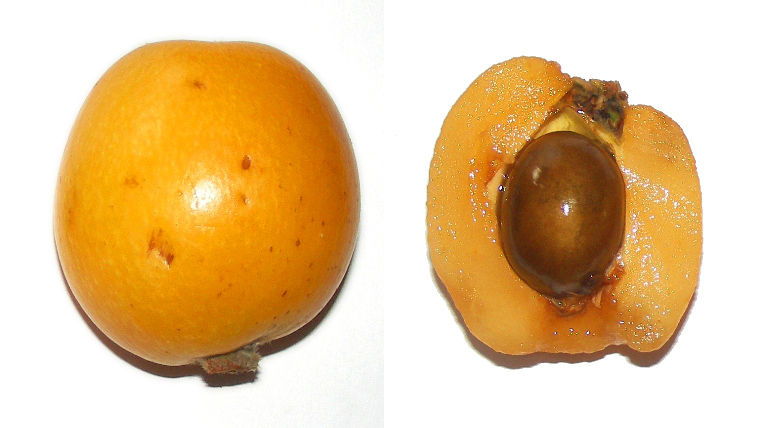 The triterpenoid composition of loquat fruit has been shown to be similar to that of its ﬂower. Ascorbic acid (AsA), or vitamin C, is an essential dietary nutrient required for various biological processes in the human body. These include its vital role as an antioxidant, and it acts as cofactor for the biosynthesis of collagen, catecholamines, amino acids, and various peptide hormones. AsA may potentially be implicated in the prevention of the development of various chronic diseases, partly due to its role in maintaining oxidative balance. This is due to the fact that the initiation and development of many chronic diseases have been shown to stem from oxidative stress and inﬂammation. Loquat fruit are valuable sources of AsA compared to other major fruits like grape and banana. The AsA concentration in loquat fruit varies among cultivars according to genotype, agroecology, and analytical methods. The intensity and diversity of volatile compounds are very important factors which contribute to loquat ﬂavor. In addition, β-ionone is a raw material for the synthesis of vitamin A in the human body. 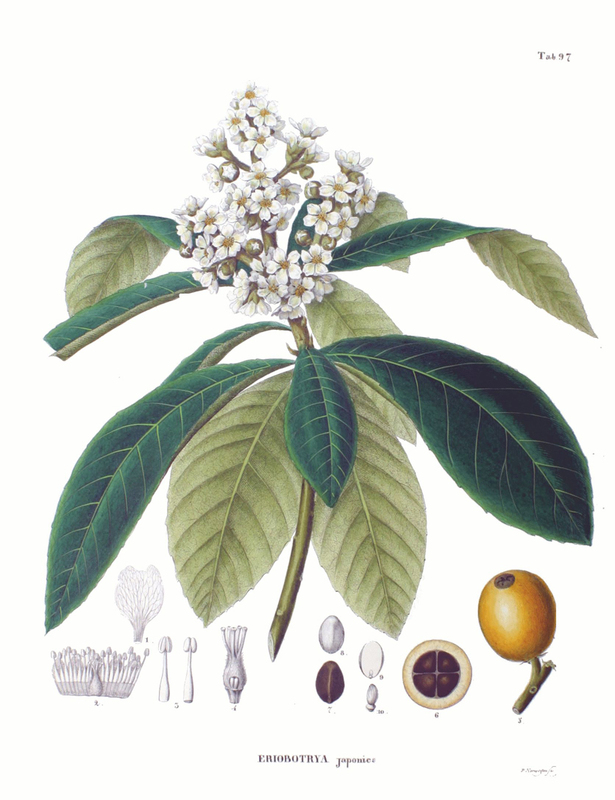 The predominant aroma components in loquat fruit are in dispute, due to the variation in genotype, agroecology, and the methods of extraction and measurement. According to Chen et al. (2011), β-ionone, decanoic acid, and propanoic acid were the major components, consisting of 33.97% of the total aroma components. Apart from their unique succulent, sweet and tangy taste, loquat is a good source of nutrients, vitamins and minerals. Consuming 149 gram of loquats offers 113 µg of Vitamin A, 18.09 g of Carbohydrate, 0.149 mg of Vitamin B6, 0.221 mg of Manganese, 396 mg of Potassium and 0.06 mg of Copper. Moreover many Amino acids 0.007 g of Tryptophan, 0.022 g of Threonine, 0.022 g of Isoleucine, 0.039 g of Leucine and 0.034 g of Lysine are also found in 149 gram of loquats. 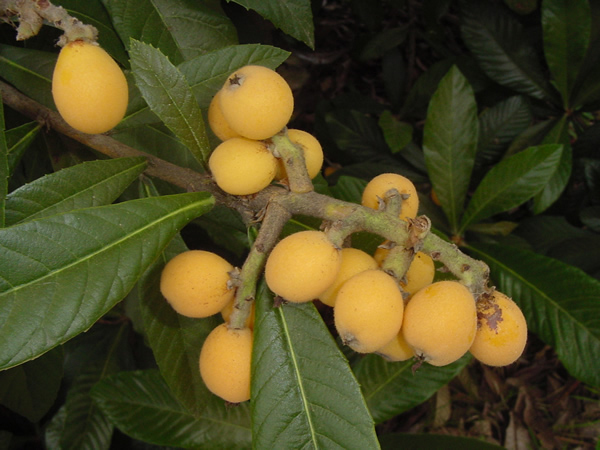 Loquat is strongly recommended for excessive uric acid, kidney stones, kidney failure, and gout. It’s because their usefulness like a diuretic by improving the manufacture of urine and promoting the removal of excessive uric particles along with its lower protein and high mineral content. Loquat fruit is lower in calorie. Plus it includes a great deal of dietary fiber. Higher fiber rich diets control urge for food as well as increase metabolic process. As a result it encourages healthy weight reduction. Fresh Loquat fruits consist of good amount of Vitamin A. Since Vitamin A is anti-oxidants, it will become extremely favored food to be ingested to boost eye health. Because of higher anti-oxidants Loquat help to safeguard eyes from free radicals. It is also effective to avoid retinal damage brought on because of free-radicals. As a result it improves eye vision and also safeguard from cataract as well as macular degeneration. 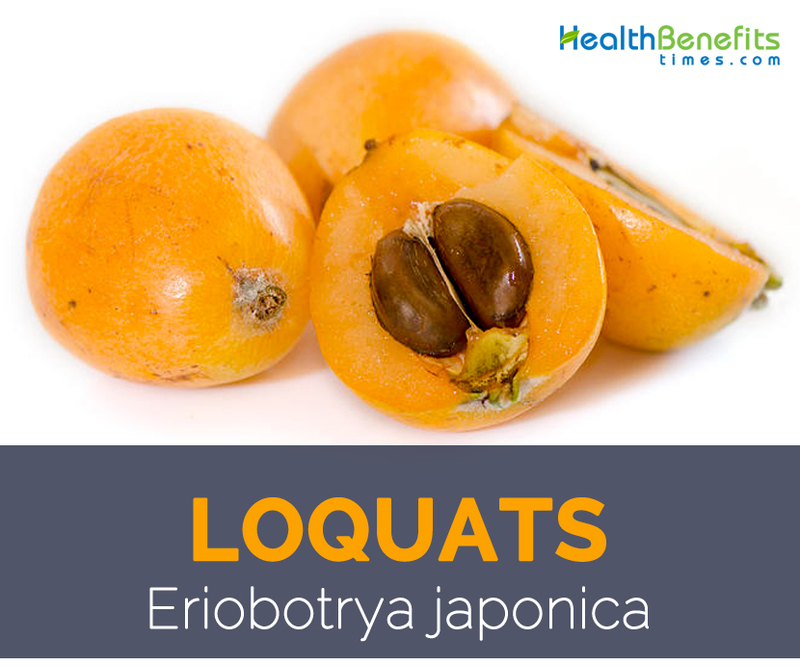 Loquat is consumed as a fresh fruit and occasionally mixed with sliced banana, orange sections and grated coconut in fresh fruit salads or fruit cups. Firm, somewhat immature fruits are best for making pies or tarts. Fruits are commonly used to make jam, marmalades, jelly, chutney, and are delicious poached or stewed in light syrup. Fruit can be chopped and cooked as a sauce. Spiced loquats are prepared with cloves, cinnamon, lemon and vinegar and bottled in glass jars. Loquat fruit are made into beverages and makes an excellent light wine. Taiwan exports canned loquat in syrup. Seeds are also edible and have a pleasant flavor when cooked. Roasted seeds are used as a coffee substitute. Fresh roots are used as food, cooked slowly with pig’s throttles or chicken and yellow rice wine in China. All parts of the plant are used in traditional Chinese medicine. Loquat is suggested for pharyngo laryngitis, cough, thirst and constipation. Dried leaves are considered to have cool energy and bitter flavor and to relive cough, nosebleed and coughing up blood. They are also used in treatment for diarrhea and depression. A type of loquat syrup is used for soothing the throat like a cough drop. Mixed with other ingredients and known as pipa ga (loquat paste) it acts as a demulcent and an expectorant as well as to soothe the digestive and respiratory systems. Fragrant flowers contain essential oils, extracted for cosmetics and are used as expectorants, for cough and common colds. Leaves are used to treat skin diseases, as well as to relieve inflammation, pain, coughing, chronic bronchitis and sputa. Leaves are known to have many physiological actions such as anti-inflammatory, antitussive, and expectorant. Leaves of the plant have also been found to be beneficial when dried and brewed into a tea, which is a popular traditional remedy in Japan. Poultices and salves can also be made with the crushed leaves, and then topically applied to wounds and aches. Fragrant flowers contain essential oils that can be extracted for use in cosmetics. Seed oil is used for making soap. Two types of varieties are obviously recognized. On one side, the Japanese type (also known as Japanese plum), developing a reduced amount of seeds along with a paler coloration of the fruit, both the skin and also the pulp, and being of early maturation. Alternatively, the Chinese have the compared qualities, that is to say, higher quantity of seeds, later cropping and also darker fruit color. Shape generally obovoid, weight 2 to 3 ounces. L. Trabut says of it: “Tanaka is described as an attractive color, outstanding size, firm flesh of rich color, reasonable perfume, and also little level of acidity. The percentage of flesh to seeds is big. This particular loquat owes to the consistence of its flesh uncommon keeping quality, – -it can be treated without turning black. Left for the week it wrinkles and dries yet doesn’t rot. One of the plants, grafted on quince, which are introduced from Japan, two sub varieties could be recognized; one along with pear-shaped fruits, another sub spherical. Tanaka is energetic, the leaf just a little narrower compared to our loquats. The tree is effective.” Tanaka is famous as the biggest loquat in Japan, and one of the finest. It’s been grown in Algeria as well as in California. Shape is spherical to pyriform; sizing big, weight 2 1/4 to 2 3/4 ounces, length 2 5/8 inches, breadth 1 3/4 to 2 inches; bottom circular; apex flattened, the basin shallow and also flaring, the calyx-segments wide and short, eye open or even closed; surface yellow-orange to orange colored; skin not thicker, sensitive; flesh orange-colored, firm and meaty, juicy; flavor sweet, recommending the apricot; quality excellent; seeds Four to five, the seed cavity not huge. Season April to June at Placentia, California. Design oblong-pyri-form; size significant, weight 2 1/2 ounces, length 2 1/4 inches, breadth 1 3/4 inches; bottom declining somewhat; apex somewhat squashed, having a shallow, flaring basin; fruit-cluster big, loose; surface deep yellow in color; skin reasonably thick and hard; flesh whitish,-translucent, melting, very juicy; flavor sweet, not so rich; quality good; seeds Three to five, the seed cavity medium-sized. The season of the variety is May and June at Orange, California. This particular selection signifies 80% of the manufacture of Alicante; additionally it is broadly grown in Almeria, because of its earliness. However, the fruits are of smaller size and also worse taste. Additional kinds are ‘Magdall’ and also ‘Golden Nuget’ which are worse in flavor, however of early maturation. Chinese type loquats are usually bigger fruits, along with yellow or even orange flesh, and therefore are pear-shaped. Popular types within this group consist of Big Jim, which originated from California. This huge fruit can easily grow to 1.5 inches in diameter and is also known to be simple to peel having a fairly sweet taste. More than 60% of Japan’s crop is composed the Mogi variety, that ripens at the beginning of spring. Strawberry is really a medium-sized fruit named because of its strawberry-like taste. A California variety, Early Red, is extremely succulent and ripens at the end of January or early February. Japanese types are seen as a smaller sized fruits, white or even pale-yellow flesh and spherical shapes. Champagne includes a deep yellow skin color as well as extremely juicy white flesh and is also usually utilized for preserving. Victory is really a huge oval fruit which is grown mostly in Western Australia. Medium-sized Advance is renowned for its clear, melt-in-your-mouth white flesh which is very succulent. A new seedless range, Kibou, was created in 2003 in Chiba Japan. The patent is one of the Chiba Prefecture Government. These types of loquats weigh about 2 1/4 oz. and, as of 2011, weren’t yet in industrial manufacturing. Seedless loquats are most likely a well-known variety since most loquats are only peeled and consumed. They could be also converted into a jam, jelly or even chutney. Loquat fruit season starts by June in Japan. Usually, the fruits are prepared for harvesting as soon as their skin turns yellow and also flesh turn out to be soft in consistency. The fruits ought to be very carefully selected from the bunch to prevent injury. Within the store, purchase fresh ripe fruits showcasing bright yellow color; fine surface and also provide mild however fairly sweet aroma. They must be lacking any wrinkles, cuts as well as spots onto the skin. Prevent any kind of brazenly soften fruits along with spots since they have a tendency to die earlier. Loquats keep well for approximately a couple weeks within the fruit/vegetable drawer of the house fridge. Clean loquats below cool water just before eating to eliminate any kind of surface dirt or even pesticide residues. The pulp just beneath the skin is more gratifying compared to central tart pulp. The skin of the loquat is definitely eliminated. Peeled fruits are consumed fresh or even combined with various other fruits just like banana, mango, and also orange as salad. The Fruit sections are a good accessory for fruit salads. 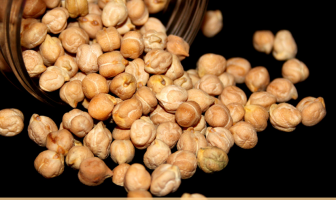 They also are utilized in desserts or as pie filling, or are chopped and cooked as a sauce. Loquat fruit is additionally converted to jam, jelly and also poached in sugar syrup along with cinnamon to create scrumptious loquat fruit syrup. Wood: The wood is pink, tough, close-grained, medium-heavy. It’s been utilized rather than pear wood for making rulers along with other drawing equipment. Animal feed: The young branches have already been lopped for fodder. Perfume: Within the 1950’s, the flowers enticed the interest of the perfume business within France and Spain plus some experimental work was completed in extraction of the essential oil through the flowers or even leaves. The item was attractive however the yield was really small. Medicinal Uses: The fruit is claimed to act like a tranquilizer and is also consumed to prevent vomiting and also thirst. The flowers are thought to be having expectorant qualities. An infusion of the leaves, or even the dried, powder leaves, might be taken up reduce diarrhea and also depression and also to combat intoxication from usage of alcohol consumption. Leaf poultices are placed onto swellings. The loquat fruit seeds include numerous toxic alkaloids just like cyanogen-glycosides that when ingested may cause severe life-threatening signs and symptoms just like vomiting, shortness of breath, and also death. As a result, particularly kids are recommended to prevent chewing seeds and really should be monitored by grown-ups whilst consuming loquat fruits. Photinia japonica (Thunb.) Franch. & Sav. Calories 70 Kcal. Calories from Fat 2.7 Kcal.